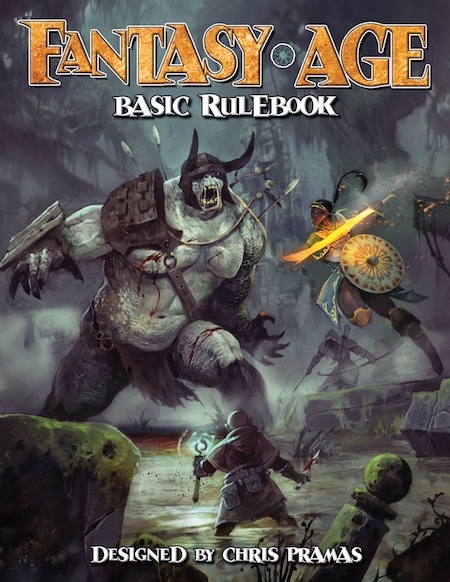 The Fantasy AGE Basic Rulebook will be releasing in PDF format and going up for pre-order soon. We will debut the game at GenCon, alongside Titansgrave: The Ashes of Valkana. The most frequently asked question I’ve been getting is, “How is Fantasy AGE different than Dragon Age?” Both games feature the Adventure Game Engine (AGE) so this is a natural question to ask and the one I’m going to delve into today. The first thing I’d like to talk about is backgrounds. In Dragon Age a background is basically a mix of culture, social class, and race. You might be a Fereldan Freeman, High-born Dwarf, or Qunari Beresaad, for example. That works because Dragon Age is set in a specific place: Thedas. Fantasy AGE, on the other hand, has no attached world. 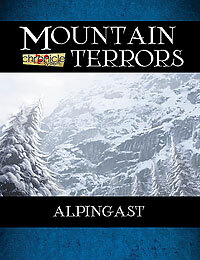 Its rules are meant to be used with a campaign setting that you choose or create. I thus did not want to assume too much about the culture of the setting. Therefore Fantasy AGE breaks out backgrounds into three parts. First you choose a race. To make the game as broadly useful to gamers as possible, we went with the “fantasy classics” here: dwarf, elf, gnome, halfling, human, and orc (and Titansgrave adds saurians to the mix). You roll for your social class (outsider, lower class, middle class, or upper class), then you generate a background based on the class. This is meant to represent the career you trained for or engaged in before you became an adventure. Examples include hermit, laborer, merchant, and pirate. Your race, social class, and background modify your starting character in various ways: ability increases, focuses, and other benefits. The heart of any AGE game is the ability test. 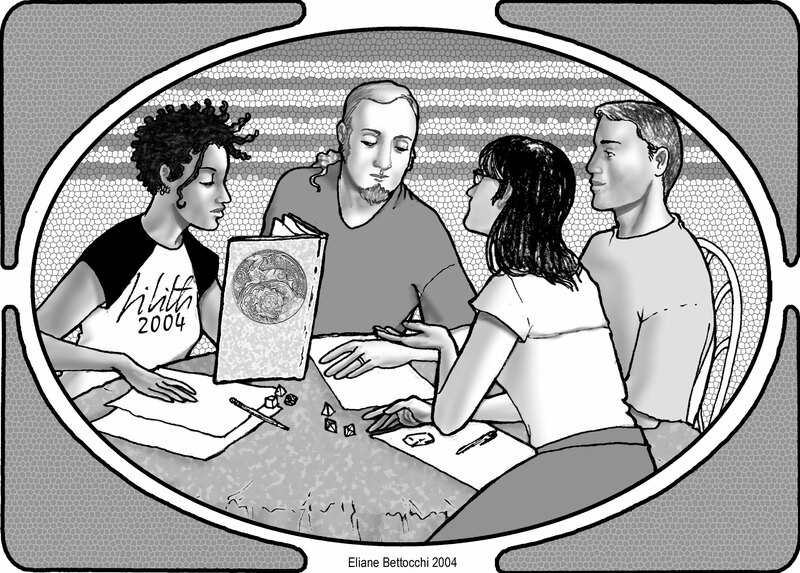 When you try to do something, you roll 3d6 and add the relevant ability (Communication, Dexterity, etc.). If your total meets or beats the Target Number, you succeed. If you roll doubles on the test, you get to do something cool as a stunt. Easy enough! So you can see that in Fantasy AGE two abilities were added (Accuracy and Fighting), one was removed (Magic), and one simply had its name changed (Cunning to Intelligence). The latter is the easiest to explain. I simply thought Intelligence was a better name for the ability and conveyed its nature more clearly than Cunning. But why the other changes? In Dragon Age Dexterity and Strength both do a couple of things. Dexterity adds to your Defense (making your harder to hit) and adds to your attack rolls with light melee weapons and missile weapons. Strength adds to your attack rolls with heavy melee weapons and damage to all melee and thrown weapons. All this has certain implications. First, it makes big monsters that hit hard but strike inaccurately harder to model. A + 8 Strength, for example, means +8 on the attack roll and damage. Fantasy AGE breaks this out into separate abilities: Fighting and Strength. Now it’s easier to represent something like an ogre, who might have a Fighting 3 and Strength 7. Second, Dexterity in Dragon Age is something of a superstat for rogues. In Fantasy AGE I thus decided to break it out into Accuracy and Dexterity. Now it’s Accuracy that adds to your attack rolls with light melee and missile weapons and Dexterity that adds to your Defense. The net result these changes means you have some real choices to make when you level up and get to increase an ability. As a warrior, do you want to hit harder or more often? As a rogue do you want to dodge more often or hit enemies more frequently? As for the Magic ability, I cut it for a couple of reasons. First, to keep the overall number of abilities down. Second, because I felt everything it did could be modeled with other abilities: namely, Intelligence and Willpower. In Fantasy AGE your casting roll is based on Intelligence but your Spellpower is based on Willpower. In Dragon Age both of these are based on your Magic ability. Speaking of magic, that’s perhaps the biggest change from Dragon Age. The basics remain the same. Mages have a pool of Magic Points (MPs) that they spend to cast spells. You can keep casting until you run out of MPs, and you can cast the same spell over and over if you want to. What is different is how you acquire spells. In Fantasy AGE there are magic talents, each of which corresponds to a themed group of four spells known as an arcana (Earth Arcana, Divination Arcana, and Fire Arcana, for example). When you get the novice degree of a magic talent, you learn the first two spells of its arcana. You get another at the journeyman degree and the final one at the master degree (as well as some other benefits). A level 1 mage starts with two magic talents at novice degree, which translates to four spells. Mages then acquire more spells as they go up in level by learning new arcana or mastering the ones they have. In Dragon Age you can customize your character with a specialization like Blood Mage, Spirit Healer, or Templar. You get one specialization at level 6 and another at level 14. Fantasy AGE retains the basic concept of the specialization but gives you access to them earlier. You get your first at level 4 and second at level 12. Since you can take your first specialization at level 4, I eased up on the requirements somewhat so it shouldn’t be hard to pick the specialization you want. There are four for each class, twelve in total. The specializations are Arcane Scholar, Assassin, Berserker, Duelist, Elementalist, Guardian, Knight, Mage Hunter, Miracle Worker, Sharpshooter, Swashbuckler, and Sword Mage. And those are the biggest differences between Fantasy AGE and Dragon Age. As you can see, the games have the same core, but some slightly different expressions. If you’ve played Dragon Age, you’ll find Fantasy AGE a breeze to pick up. If you haven’t played Dragon Age or indeed any other RPG before, that’s OK too. Fantasy AGE is designed with new players in mind. https://greenronin.com/wp-content/uploads/2015/06/FA_Basic_Cov-450.jpg 582 450 Chris Pramas //greenronin.com/wp-content/uploads/2017/07/RoninBanner-1.png Chris Pramas2015-06-29 14:29:572016-08-18 14:10:33[Ronin Round Table] Fantasy AGE: What’s Different from Dragon Age?